Guest web-writer Geoff Nelson blogs about using Au-coated nano-cups of anatase TiO2 as photocatalysts. Written by Geoff Nelson, web writer. 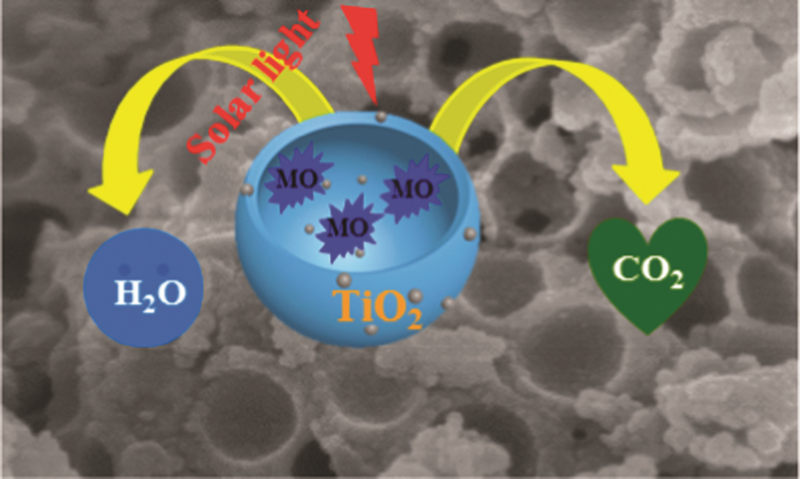 Nanocups of anatase TiO2 coated with Au nanoparticles are efficient photocatalysts, as reported in a recent ChemComm article by Chemical Science and Chem Soc Rev Advisory Board member Jinlong Gong and his group at Tianjin University, China. This new shape promises to increase reactive surface area by exposing the normally inaccessible surface of hollow spheres. Compared to TiO2 hollow spheres, TiO2 nanocup particles increase the rate of the photocatalytic degradation of methylene blue in the visible light region by 46%. This performance and the ease of nanocup synthesis are reasons to promote further research. Thus, we may expect nanocups made from other metal oxides and inorganic materials to be incorporated into solar, photochemical, and catalytic applications in the future. In addition, the ability of nanocups to confine small amounts of reactants may find utility in nanofluidic devices. Gong et al.‘s work has recently been highlighted as part of a C&EN article on novel nanostructures. Geoff Nelson is a guest web-writer for ChemComm. He currently works as a post-doctoral research associate in Dr David Payne’s research group in the Department of Materials at Imperial College, London. Geoff’s current research concerns the synthesis and characterization of post-transition metal oxides for use in the energy sector. His other research interests include carbon-based materials, biophysical chemistry, and surface science.